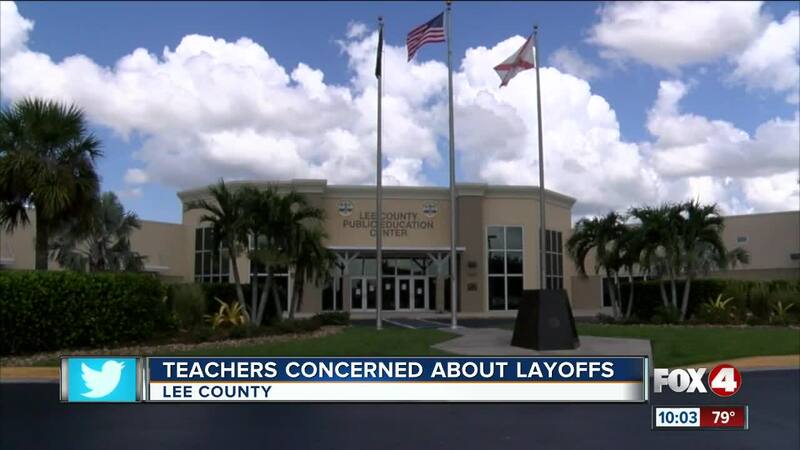 LEE COUNTY, Fla. — Budget cuts worried teachers at Lee County schools after emails read possible job cuts for the 2019-2020 school year. Principals had until Friday to notify teachers of layoffs. Johnnie Hawkins worked as the career education teacher at Varsity Lakes Middle School since 2007, so the emails didn’t scare her, but she was surprised. Emails circulated after principals worked to adjust budgets for the upcoming year, yet the confusion might be from a misunderstanding of some new budget changes. Kevin Daly, president of Teachers Association of Lee County, doesn’t think there will be more teacher cuts in the district. “I think the district kind of did a ‘worse-case’ scenario with the budget, not knowing what the state’s going to fund,” Daly said. Hawkins and the other teachers worry tighter state budgets for schools could lead to more teacher cuts. “We love what we do, and when things like this happen, we feel like we’re not appreciated," she said. Lee County School District is hosting a recruitment fair at Lee County Public Education Center on Saturday from 10:00 a.m. to 12:00 p.m. For information on current job openings in the district, click here.